Apex Access Group uses ropes and abseiling equipment to carry out professional high level maintenance services in areas that are hard to reach using other methods. We offer lots of maintenance services including painting, window restoration and roof repairs on commercial buildings. Our services are available across the UK. Apex Access Group provides high level maintenance services, which are carried out to the highest health and safety standards and fall protection services. If you have a high-rise office building, commercial building or multi-storey apartment building that is in need of maintenance, we can provide these services. We will carry out a survey of the premises to discover your needs and to plan how the work will be carried out safely and efficiently by our skilled team. 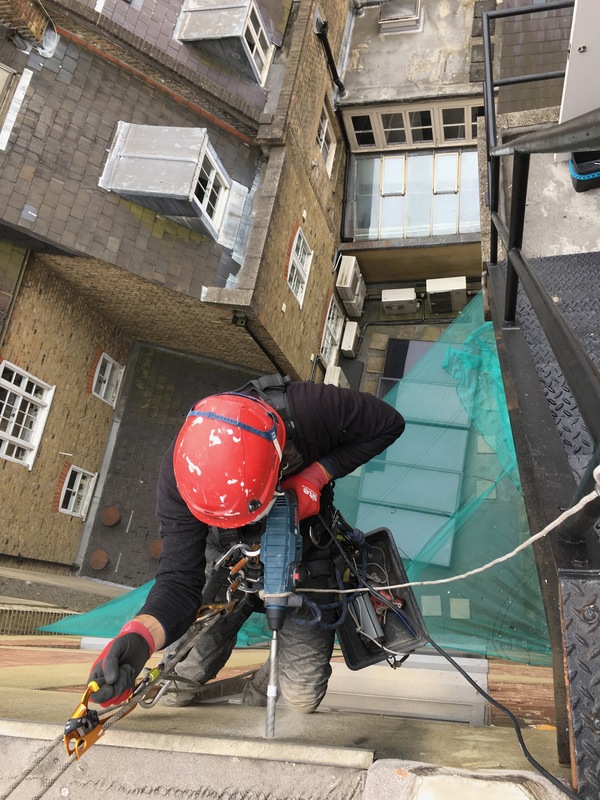 Rope access maintenance has been developed by experts over a 25-year period and is a great solution when it comes to maintaining those difficult to reach places on high buildings safely and effectively. This method is also used in construction and is known as a safer, less intrusive method of high level work. Scaffolding requires more time to set-up and take down, is costly to install and takes up a larger working space and area, making it inconvenient. Ladders involve more risk and might not be tall enough to reach the areas that you need to, and extension poles can’t always reach all the necessary places to give the same level of cleaning required. Our highly skilled and experienced working at height team will be able to gain access to even the most difficult of areas, ensuring that any building maintenance is carried out to your standards and specifications.